At GS Hitech Controls, we are proud to Supply Flow and Mass Measurement Solutions offered by Krohne, Sierra Instruments, and id Solutions – are all leaders in Innovative Flow Meter Design. If you are interested in learning more about our Flow Measurement Devices, do not hesitate to contact us to have your questions answered by our qualified sales team. 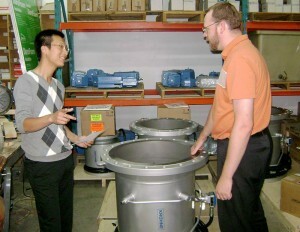 Krohne has unique expertise when it comes to flow measurement. And they don’t just demonstrate their ability with standard applications but also with applications that are demanding, requiring custom solutions. For Krohne, customer orientation starts as early as research and development. Many Krohne products which are considered today’s industrial standards, were developed in cooperation with their customers. Today, users around the world benefit from Krohne innovation. Electromagnetic flowmeters with ceramic liners for highly corrosive media in chlorine chemistry. Mass flowmeters with just one straight tube – ideal for highly viscous media and low flow speeds. Ultrasonic flowmeters for custody transfer, working accordingly to the time-offlight method. Vortex measuring devices with integrated pressure and temperature compensation. And Variable Area flowmeters; they established Krohne’s business in 1921, and today we can’t imagine Krohne without them. If a local display is needed to ensure the redundancy and the certainty of the system, a VA meter is available to suit every need. SIERRA INSTRUMENTS – Experience Our Passion for Flow! 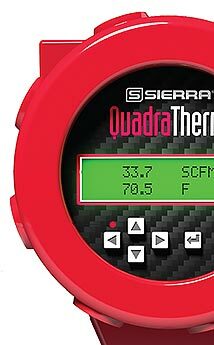 Sierra Instruments manufactures high performance mass flow meters and mass flow controllers for nearly any gas, liquid, or steam application. Customers choose Sierra when they need an accurate and repeatable flow measurement, short delivery lead times, expert flow advice, and long term support. Sierra provides innovative, high quality flowmeters and services to top businesses around the globe, helping them to achieve significant cost savings through increased efficiencies. When it matters, customers choose Sierra. GS Hitech Controls Inc, offers the most versatile range of high quality primary flow elements on the market, engineered to meet the most demanding flow applications: Multiport Self Averaging Pitot Tubes, Orifice Plates, Flow Nozzles, Venturi Tubes, Wedge Tubes, and Cone Tubes. These proven technologies use differential pressure measurement across various flow restriction designs to infer velocity and volumetric flow. This technology is based on recognized international standards published by the following organizations: ISA, ASME, ISO, AGA, API and R.W. Miller. Contact GS Hitech today for all your Flow Measurement Devices needs.